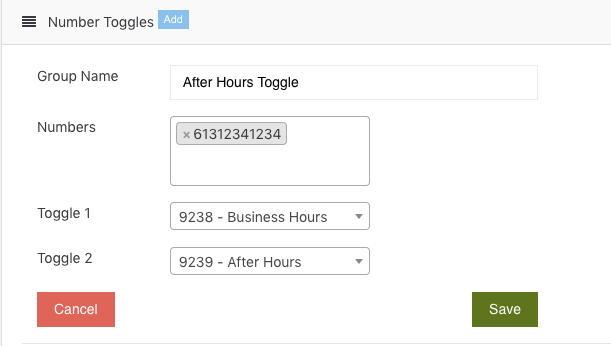 Number Toggles allow you to toggle external numbers between two dialplans, this is commonly used for a Night Switch or a temporary divert for meetings. Currently, Number Toggles are only supported on Yealink Desktop Phones that are provisioned via our auto-provisioning service. Once rebooted you should see a new key as per the label in Step 5 above. If you push that it will toggle between Toggle 1 and Toggle 2.